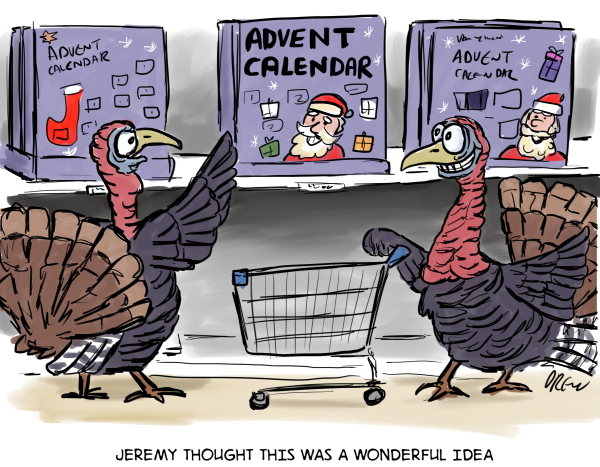 Christmas is coming and Turkeys are thinking of advent calendars! Of course Cartoonsidrew has a history of turkey cartoons including last years Jurassic Turkey and Funny Thanksgiving Turkey. I also like Advent calendar cartoons like my No Self Control Advent Calendar.